The Saturday Night Takeaway stars are keeping their cards very close to their chests. 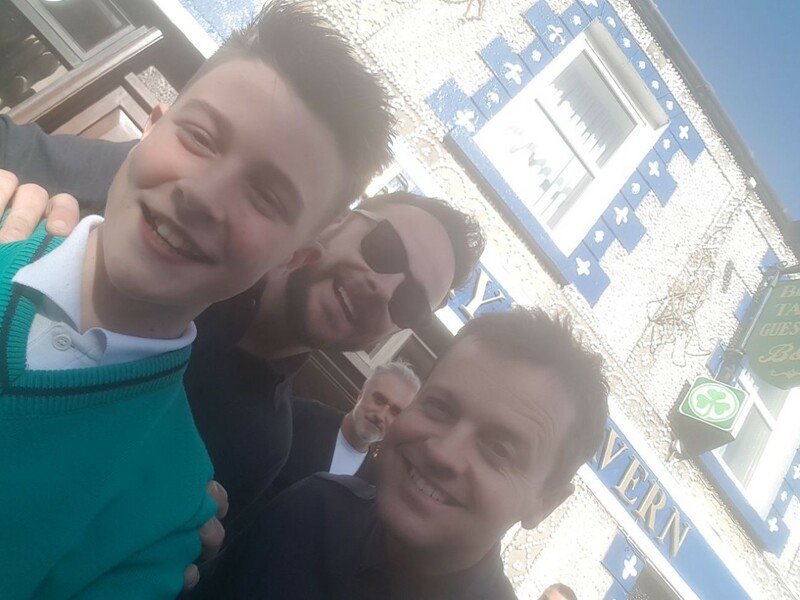 Having taken Maynooth University students aback with a surprise visit to the campus on Tuesday, two of the nicest men on television, Ant and Dec, have continued their tour around Ireland this week. No definitive explanation was delivered for their appearance in Maynooth and answers weren’t exactly forthcoming when they turned up in a number of towns in Leitrim on Wednesday. While in Drumshanbo, they happily posed for pictures with locals, including Jack Foley (pictures below sent to JOE by Shane Foley), while they were also given a mention on the Allen Gaels GAA Facebook page. They look like they would have made two fine nippy corner backs in their day for sure. The purpose of their visit to Ireland, and to Leitrim in particular, remains shrouded in an air of mystery, however. 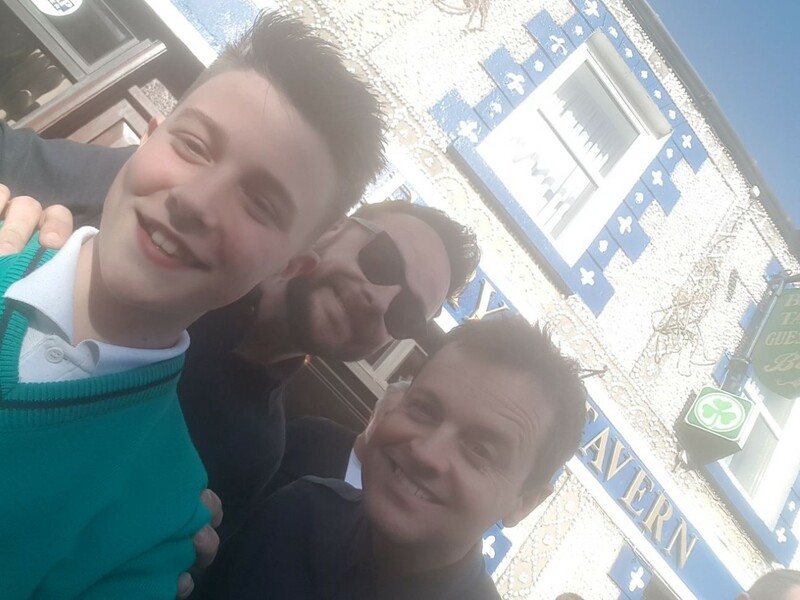 The Leitrim Observer did some detective work and could only find out from Ant McPartlin that they were in the county to "film a documentary for ITV". McPartlin wouldn’t be drawn on the subject of the documentary, but it is known that they visited Carrick-on-Shannon, Drumshanbo and Drumkeerin during their trip to the county and that they filmed in Frank Davitt’s Bar and in the church in Drumkeerin while they were there. The presence of a genealogist on location and the fact that McPartlin is a common name around Leitrim led the Leitrim Observer to suggest that Ant could have been tracing his ancestry back to the area, but no doubt all will be revealed in due course. It’s a pity they didn’t hang around ‘stag capital of Ireland’ Carrick-on-Shannon with their cameras until the weekend; they would have gathered a whole year’s worth of material for Saturday Night Takeaway in no time. Cheers to Shane Foley for sending this our way. Got a story for JOE? Hit us up on Facebook or Twitter or mail editorial@JOE.ie.